WHERE: Renegade Productions, 3030 East Broadway, Vancouver. TUITION: $300 CDN You can hold your spot for a deposit of $150 and pay the balance on the first day of class. 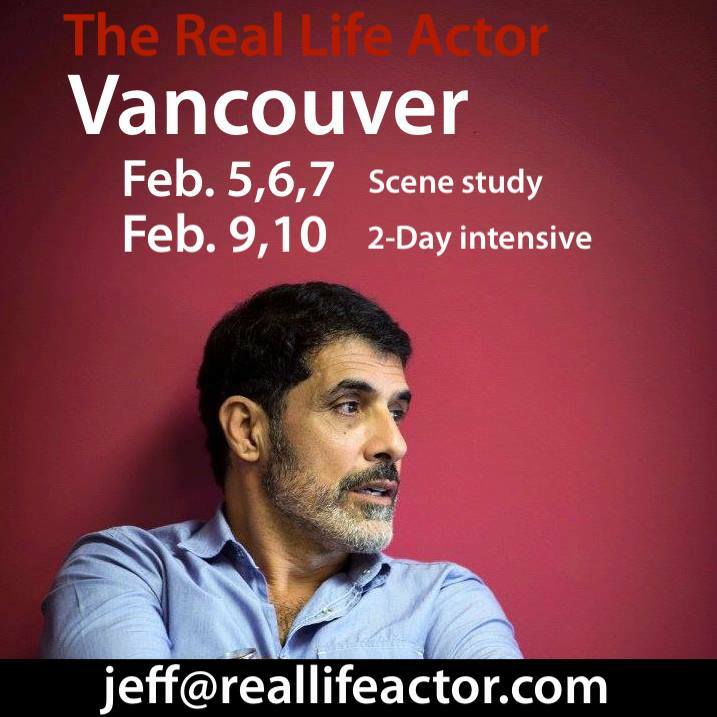 You can E-Transfer your tuition to jeff@reallifeactor.com Use the password “Vancouver” You’ll be sent a confirmation of your spot.